As a recent Bride (April 2016) I understand how planning a wedding is not only SUPER exciting but also pretty hectic too!! We are so busy ticking off our do -to list and sometimes forget about the most important person – YOU!! Our online programs are designed to support the busy bride & ensure you look amazing on your SPECIAL day! Is your skin all set to GLOW on your SPECIAL day? The stress of planning a wedding can wreck havoc on your skin. Whatever your concern, we can fix it in time! We offer supported programs for brides & their bridal parties. 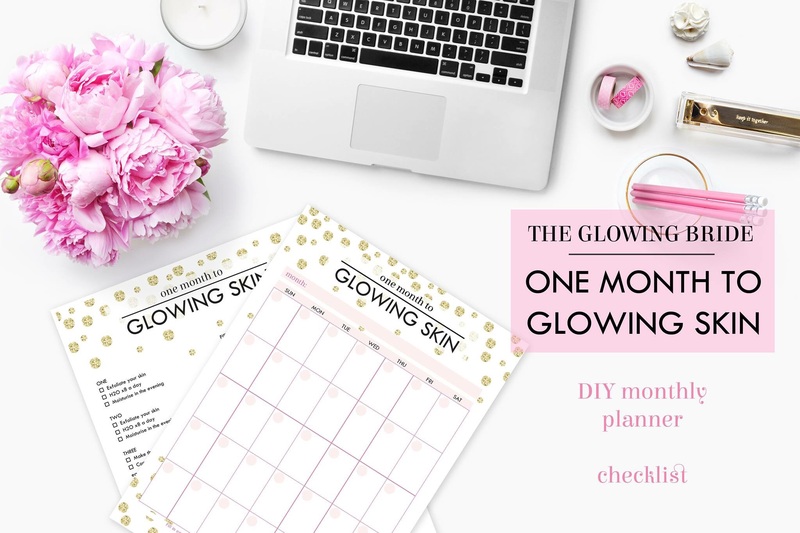 Skin Fitness Challenge + Glowing Body + Bridal Glow Box. Join our FB GROUP bridal support group too!! Bridal Beauty Concerns – How to FIX them! Bridal Beauty – Don’t forget your body!